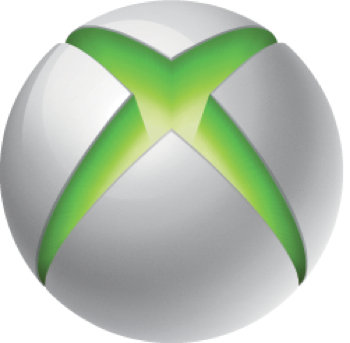 Xbox could be sold to Barnes & Noble, says Forbes contributor Adam Hartung. "Sell Microsoft NOW!" is the advice Forbes analyst Adam Hartung is giving readers of his column. According to Hartung, the Xbox maker's hope had been that the Christmas season would see a slow-down, or even reversal, of the trend towards Apple and Android products; but that didn't happen, so now Hartung's saying it's Game Over for the company. "Expect enormous layoffs over the next 3 years," Hartung claims. "Something like 50-60%, or more, of employees will go away." But that's not the half of it. Microsoft's entertainment division - the folks who make Xbox and the Kinect - are dead weight, in Hartung's analysis, since whatever cash they rake in is outweighed by the cash spent on keeping them afloat. Dead weight will be the first to be jettisoned when Microsoft starts trying to save itself. "Unable to make a profit [from entertainment]," says Hartung, "it will increasingly be seen as a distraction to the battle for saving Windows - and Microsoft leadership has long shown they have no idea how to profitably grow this business unit." Hartung expects Xbox to be sold off to some other company, perhaps even Barnes & Noble; if not sold, it will be drastically reduced in size. It's not a pretty picture Hartung's painting. Microsoft used to dominate the market, but now people buy tablets, not desktops, and Surface didn't make a dent in Christmas sales numbers. Nor do Microsoft's customers upgrade their desktops as often as they used to; 40% of Microsoft's user base is sticking with Windows XP, a heavy blow for a company that just brought out Windows 8. "The declining sales," Hartung says, talking about the future of Microsoft, "and lack of customer interest will lead to a tailspin at Microsoft not unlike what happened to RIM. Cash will be burned in what Microsoft will consider an 'epic' struggle to save the 'core of the company.'" But, if Hartung is right and momentum has swung irreversibly towards Android and Apple, whatever Microsoft does at this point won't change a thing.